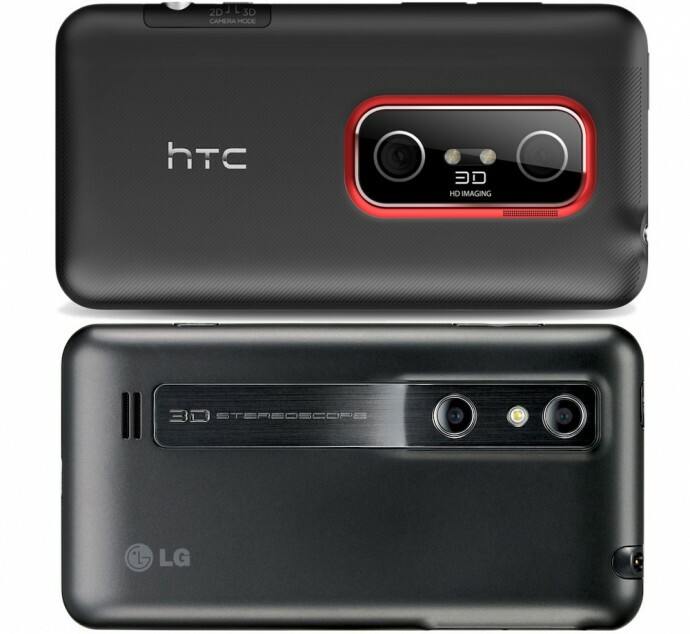 Most users of 3D-capable smartphones such as the HTC EVO 3D and LG Optimus 3D (LG Thrill 4G) are anticipating the promised updates to the new Android 4.0 Ice Cream Sandwich operating system for their devices. Though some users of the HTC EVO 3D smartphones in the EMEA region (Europe, Middle East and Africa) already started getting the update at the end of June (the GSM version of the device), the users in the USA will still have to wait until early August to get the update available to them as well. If you’ve managed to get one of the HTC Evo V 4G smartphones in the USA, then you were lucky enough to get it with Android 4.0 as this is essentially the same as HTC EVO 3D, with 4G support, but coming directly with the new OS. Owners LG Optimus 3D, or LG Thrill 4G as it is named in the USA probably won’t have to wait much more for the update as as well, because LG has promised it will be available in the third quarter of 2012. What was a bit of an unpleasant surprise was the release of the updated LG Optimus 3D MAX not that long ago and the fact that it did not come with the Ice Cream Sandwich pre-installed, but instead came with Android 2.3. Hopefully the MAX version of Optimus 3D will also get its update along with the earlier non MAX model, because the two devices are actually not that different from each other. Now, the big question is if the update to Android 4.0 ICS will actually bring some significant improvements in the features and capabilities of these 3D-capable mobile devices, including in their stereoscopic 3D functionality or it will remain more of an upgrade of the core OS modules bringing improvements in the interface and speed of the device, and hopefully on battery life as well. Guess we’ll have to wait a bit more for the updates to become widely available to see what new have both LG and HTC prepared for us, meanwhile has anyone actually seen a proper review of the new features in HTC EVO 3D after the update to Android 4.0, from someone in the EMEA region that already got the update available and installed? Please let us know when the updates are available. I own the older LG Optimus 3D and I really want the official LG ICS upgrade. I have bad news to all you, and this blog is a good place to warn people. I have a EVO 3D. I received ICS updated 3 weeks ago (i’m from Europe). From this update, any 3D capable game doesn’t works. I’m 3D apps developer, and even with my own apps can’t make it runs in 3D. Seems like ICS have other path to access to 3D mode. In many forums the people talk about this and how frustating is. I hope HTC fix this situation soon. I have a lot of 3D apps waiting for it. Still no news about ICS realise date?? WE ARE WAITING, hate to wate that long… I have another android with ICS, cant wait for the Optimus 3D ICS to come… LG developers are soooo slow..
Well.. the Samsung knowing something about an update of a LG smartphone will be very strange….